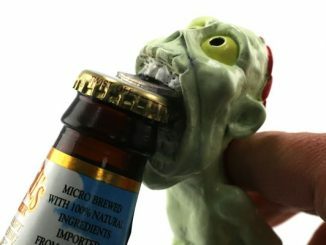 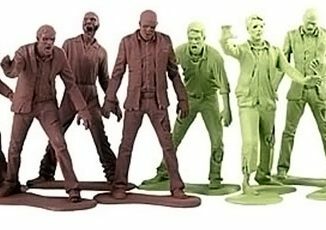 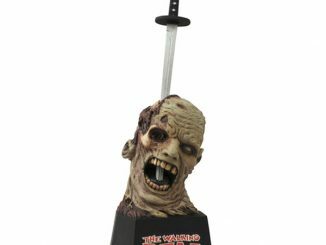 This Walking Dead Zombie Metal Bottle Opener will open your bottles zombie style…by using the hole in its head. 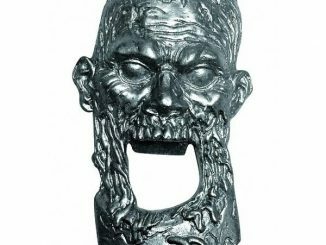 This bottle opener depicts a dispatched zombie head from The Walking Dead series. 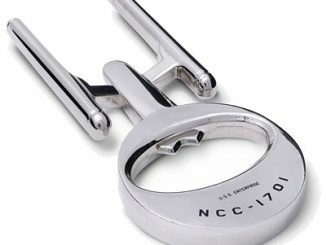 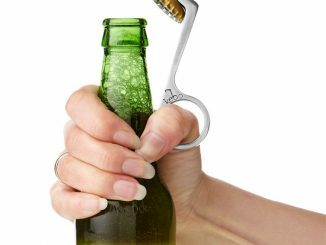 It is a gruesome 3 1/2-inch solid metal bottle opener that will look great on your fridge. 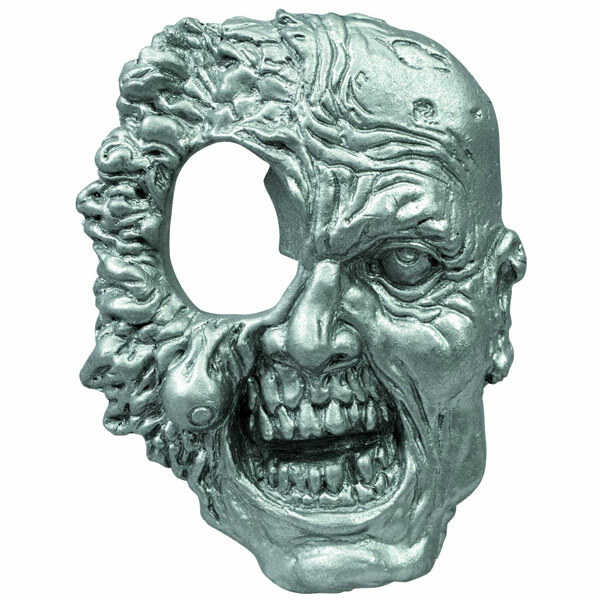 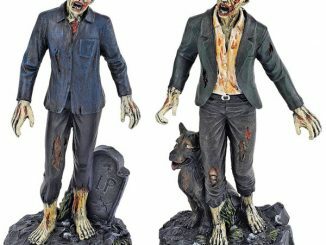 Just pop your cap off using the zombie’s gaping eye socket. 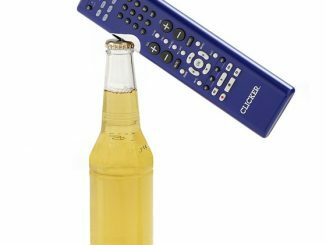 It has magnets on the back for your refrigerator door. 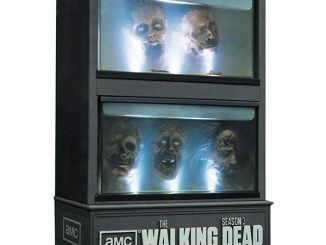 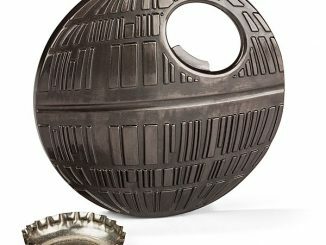 Only $15.99 from Entertainment Earth. 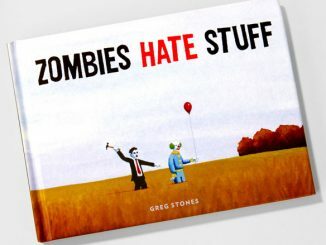 Pre-order it now and it will be available in September.